Discuss the possibility of Misdreavus being banned from the SM LC tier. Use this thread to discuss Misdreavus’s effect on the metagame. Talk about the different sets it can use, possible partners and team support, and potential checks and counters. State your opinion on whether you think it should be banned or if it should stay in SM LC. All opinions are valid, and discussion amongst players is not only allowed but encouraged, provided your judgment is backed with sound reasoning and validation coming from experience having played with / against Misdreavus in the tier. Do not simply say "it's broken" or "it's not broken”, and do not make arguments via theorymoning. Misdreavus, similar to Murkrow, creates a lot of the same problems that it did in Gen 6. The combination of its Ghost typing and Levitate gives it three immunities, and it is only weak against Ghost and Dark. 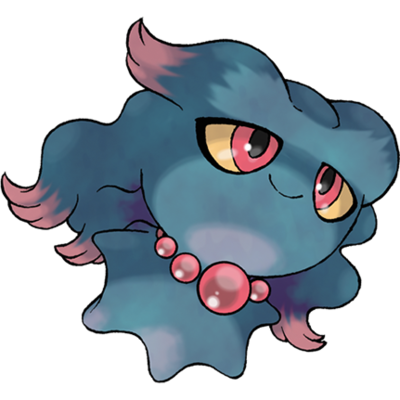 It has an extremely versatile movepool that consists of options such as Shadow Ball, Dazzling Gleam, Thunderbolt, Nasty Plot, Destiny Bond, Taunt, and Trick. Eviolite, Berry Juice, Choice Scarf, Choice Specs, and Life Orb are all viable hold items. It has excellent base stats for a LC Pokémon. Misdreavus hits 19 Speed, which can make it difficult to revenge kill without relying on Choice Scarf users or risking Speed ties, and its base 60 / 60 / 85 bulk can make it tough to bring down as well. Overall, I think Misdreavus's combination of versatility and high stats makes it too much for SM LC. The suspect period is now over. Since there was no input provided, I take it that there are no objections / concern for Misdreavus being banned from SM LC, so Misdreavus will be banned from SM LC for the reasons stated above.